The descendents of Cingiz Khan, 'the World Conqueror', founded a number of dynasties from Siberia to the Russian steppes. In 656 AH/1258 AD his grandson Hülegü destroyed the Caliphate in Baghdad and established the Mongol lkhanate in Iran with the centres Tabriz and Maragheh. 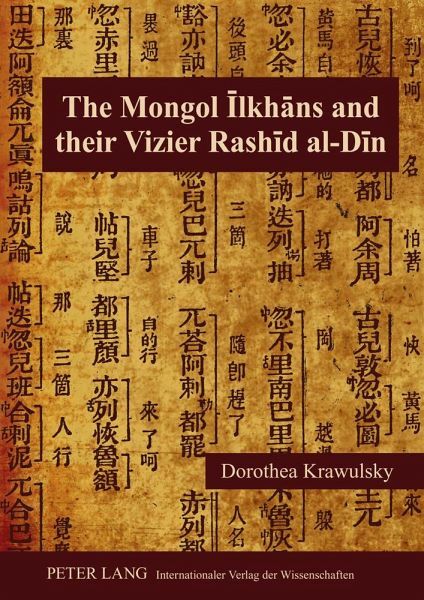 To rule over an old Islamic civilization with a city culture and to cope with the Islamic enemy at their western border beyond the Euphrates, became a great challenge for the Mongols. Several changes of politics and their conversion to the majority's creed, the Sunna, and later to the Shia testify to their endeavour to stabilize their rule and find a new identity. Their conversion to Islam had a great, positive impact on Islamic culture and the sciences. This volume casts a light upon the historical events, in search of the reasons for the lkhans' changes of politics and religion. Dorothea Krawulsky has studied Islamic and Iranian history and culture in Frankfurt am Main and Teheran. She has published in the fields of historical topography of the Islamic lands, Islamic history, ideology and dogma and modern Persian literature. She edited Arabic and Persian manuscripts of the Middle Ages, and lectured at the University of Tübingen. 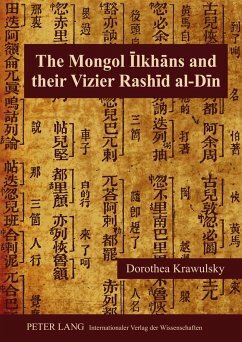 Contents: The Testament of Cingiz Khan - Dynastic Historiography under the lkhans - The Revival of the Ancient name Iran - The Dynasty of the Mongol lkhans: Beginning and Name - Legitimacy and Rule: the Mongol Dilemma - Two Original Manuscripts of the Vizier Rashid al-Din - Islamic Reform in the lkhanate: al-Djihad - A Short Biography of Rashid al-Din.